The Department of Art and Art History offers students a wide range of art history, museum studies, and studio art courses as well as opportunities for internships and independent study projects. 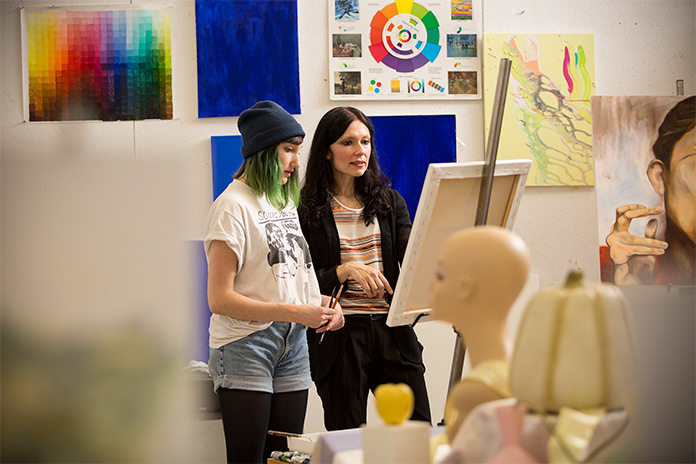 At Juniata, art history, integrated media arts, museum studies, and studio art are combined in one department, enabling the faculty to foster creative potential through interaction in the classroom and in the studio. Students involved in any of the Art Department's Programs of Emphasis (POEs) will enroll in a combination of studio and history courses (the exact distribution of which will depend on the individual POE), and for those interested in art history and/or museum studies, a minimum of two language courses (either German or French) at the 200 level or above is required.